Less than two months after the formation of the new Italian government, as invisible forces launched the process of its collapse. Or, more precisely, to remove "harmful elements" from it. Today, Italian media reported that the Italian Minister for European Affairs Paolo Savona is suspected of bank fraud. - Italian news agency ANSA. Savona, like some other members of the current Cabinet, is known for its, to put it mildly, skeptical attitude towards European integration. Prior to joining the government, he was one of the most active supporters of Italy's withdrawal from the euro area. According to the plan of the "Liga" and "Five Star" parties that formed the government, Savona was to become Minister of Economy and Finance. But Italian President Sergio Mattarella, concerned about the banker's views on European monetary policy, did not approve of his candidacy. Mattarella said bluntly that he could not give such a post to "the minister who advocates for secession from the euro area." In his place decided to put the supporter of European integration - Giovanni Tria. Although after entering the government, the accused of corruption Savona formally disowned the idea of abandoning the euro, he continued to periodically voice such thoughts. June 12, speaking before parliamentary committees in the Senate, the politician made it clear that the exit from the eurozone - though not the main goal, but it must be prepared. Savona became famous not only for his sharp attacks on Brussels, but also for Berlin. Once he publicly compared Chancellor Angela Merkel with Adolf Hitler. Despite his statements, Italy's new minister for European affairs did not make serious efforts to withdraw the country from the euro area. However, the investigations against him testify that Brussels and the pro-European elements inside Italy were seriously worried. 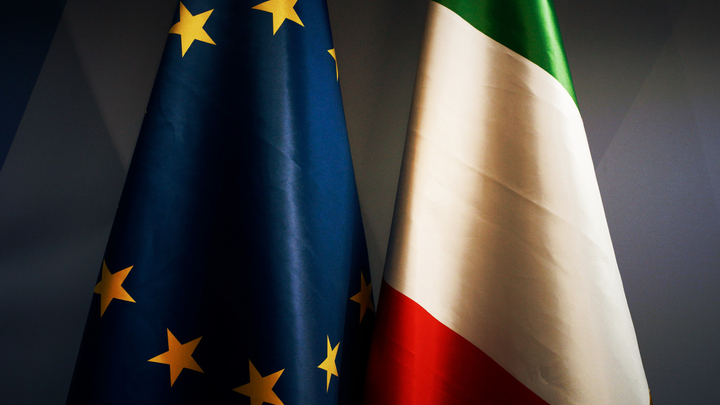 The new Italian government does not suit globalists not only with its tough rhetoric on monetary policy and migration, personified by Interior Minister Matteo Salvini, but also by views on Russia. At the initiative of one of the ruling parties, the League and its leader Salvini in the coalition agreement fixed the thesis on the abolition of anti-Russian sanctions. Today, the Minister of the Interior of Italy called the accession of Crimea to Russia legitimate, and the coup d'état in Ukraine in 2014 was a "false revolution". Although the coming to power of Eurosceptics and "friends of Putin" in Italy has not yet been translated into concrete actions, like Italexit or a veto in the voting on Russia in the Council of Europe, the presence of such elements in several European countries, including Austria, Hungary, the Czech Republic, etc., seems to force globalists to take preventive measures. Savona is on the verge of retirement. Who is next?